The official trailer of documentary about acid house “They Call It Acid” is out now and looking bomb. 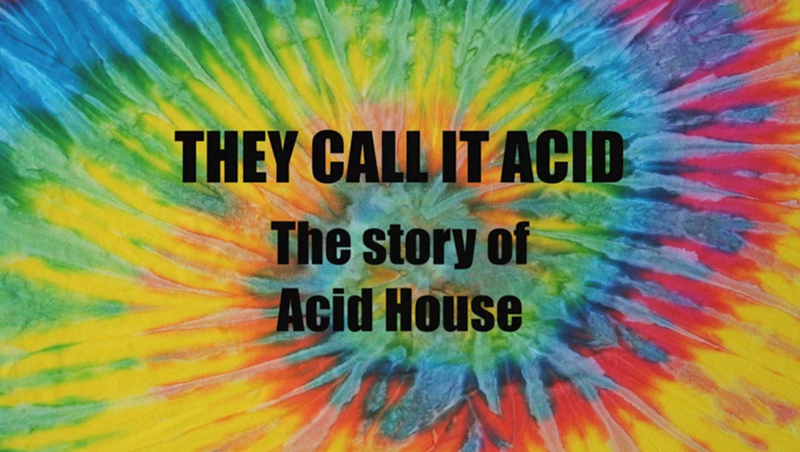 The documentary tells the story about the culture and the growth of acid house in UK. They took around 14 years to film this movie. You can see the trailer below. The film is narrated by Robert Owens (Vocalist of Fingers Inc). The documentary features interviews with house and techno veterans Jesse Saunders, Carl Cox, Derrick May, Larry Heard, A Guy Called Gerald, Pete Tong and many others. Most of the footage for the documentaries was shot and collected by the director Gordon Mason during his Rave days. So most of them are unique. The soundtrack for the film is done by “Evil” Eddie Richards, another pioneer of Acid house. He is also a DJ and you can see him perform live around the world. The soundtracks tells us the story of house music from the good old Chicago days to the acid house days in UK. The film already started screening at various film festivals around the world and is garnering great feedback from dance music pioneers and critics. But the film is not ready for public release yet and they are seeking funding for that. You can help them by contacting here.